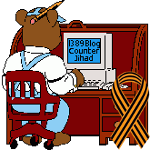 2012 May — 1389 Blog - Counterjihad! The next presser from Sheriff Arpaio’s office should be a doozie! Your obligation as a citizen: Stop Muslim Brotherhood infiltration!